Throughout this series, a number of ecotourism niches have been mentioned in passing, yet none have received a great deal of individual attention. This has been a conscious decision, as the focus of this series is on the benefits of ecotourism and how to practice ecotourist tactics during your next vacation, illustrated through examples from my current trek through Southeast Asia. Since the benefits derived from ecotourism don’t typically differ whether you’re hiking, birding, diving, or simply taking a day trip out to a waterfall, it made little sense to focus on one particular ecotourist niche. Like much of the developing ecotourist industry niches, there isn’t yet a strict definition of indigenous ecotourism, especially as it often overlaps with other niches. What’s more, the grassroots nature of indigenous ecotourism has thus far prevented the development of a globalized organization to impose a strict definition and rigorous standards. In lieu of an official definition, we’ll come up with a working definition for the purposes of this article. Here goes: indigenous ecotourism is a tourism industry niche which directly benefits a region’s local economy by drawing tourists interested in the preservation, beauty, and protection of nature. It’s this phrase that not only makes a distinction between indigenous ecotourism and the broader network of ecotourist niches, but also what makes it so hard to define. Any type of tourist can benefit a region’s economy simply by the act of being there and spending money on food, hotels, or souvenirs. What I personally think distinguishes indigenous ecotourists from a regular tourist, or even from a general ecotourist, is the conscious decision to spend their money with locally owned businesses and individuals. Considering the care that was given to crafting a clear and precise definition of ecotourism in the preceding paragraphs, it’s somewhat humorous how mundane most everyday examples of indigenous ecotourism really are. Common examples of businesses that fall into the indigenous ecotourist umbrella are rafting companies, guides for walking and hunting, or locally owned parks and gardens. Essentially, you practice indigenous ecotourism anytime you visit some sort of outdoors related tourist activity that is wholly run by locals. During my trip through Southeast Asia, I’ve had a number of encounters with indigenous ecotourist outlets, but one in particular stands out in my mind: visiting the rafflesia, the world’s largest flower. This rare flower can be found throughout Borneo and even in parts of peninsular Malaysia and Indonesia, if you know where to look. The trouble is, very few people where to look. The rafflesia is particularly sensitive to environmental disturbances and only blooms in perfect conditions. 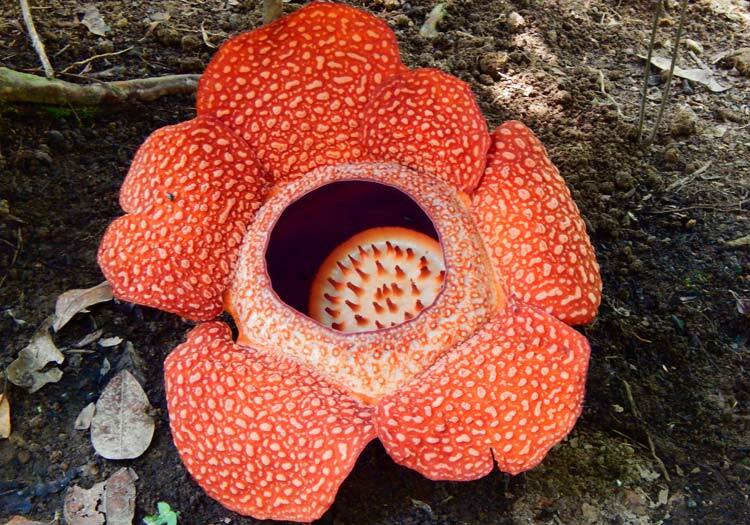 What’s more, unlike most plants, the rafflesia doesn’t have a set blooming time, instead blooming whenever it’s ready at any time of the year. Once it’s bloomed, you have roughly four days to see it before it starts to rot, and by day 6 the flower is completely dead. Despite the difficulties in seeing a blooming rafflesia, seeing the world’s largest flower still draws tourists from across the globe. 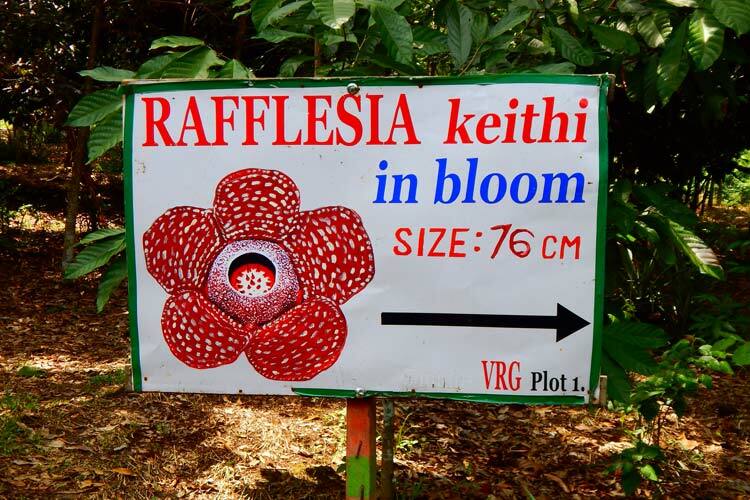 Because of the uncertainty around blooming times and short period in bloom, it’s not viable for large corporations to set up rafflesia gardens and charge an entry fee. Fortunately, such a business practice is profitable for local individuals. One of the best places to see the rafflesia is on the slopes of Mount Kinabalu, the tallest mountain in Southeast Asia found in the state of Sabah in northeastern Borneo. This UNESCO World Heritage site features two portions: the actual Mount Kinabalu preserve and nearby Poring Hot Springs. Having visited the park the day before, we opted to spend our last day at Mount Kinabalu at the Poring Hot Springs. The hot springs are quite out of the way, requiring a drive to a remote village. On the way, however, you’ll be greeted with a handful of signs outside people’s homes, proudly declaring in broken English “1 rafflesia, 2 day bloom” or some similar message. For a nominal fee, the homeowner allows visitors to tramp through their backyard in search of the rare rafflesia. Though this practice may only generate an income for the homeowner on the five days or so a year their rafflesia blooms, some people have been able to make a business out of it. 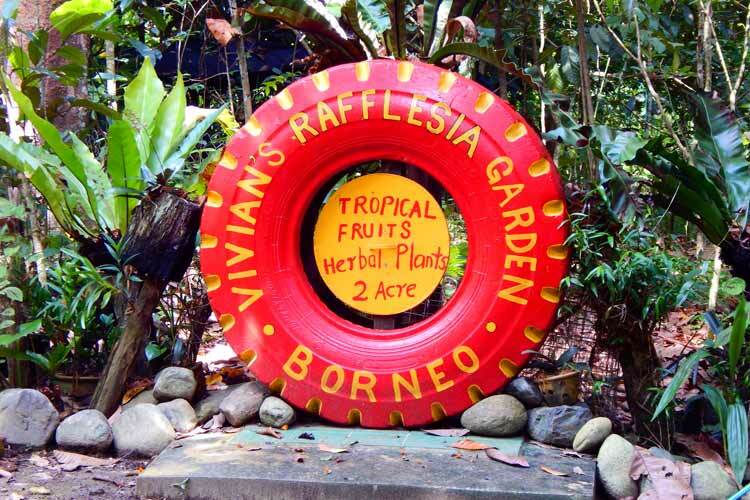 For example, we visited Vivian’s Rafflesia Garden, which not only featured a blooming rafflesia and several buds, but also a plethora of tropical fruit trees. We were led around the garden by various members of the family, each of whom had the kind of intimate knowledge about the plants that only someone who grew up in the area could develop. What’s more, it was clear that our money was directly helping the lives of a people with a deep connection to the land. What could fit better with ecotourist principles than that? One interesting side effect to note about the rafflesia industry. Like any plant, a rafflesia’s ultimate goal is to spread its offspring, which often means that rafflesia buds pop up in the lands neighboring rafflesia gardens. 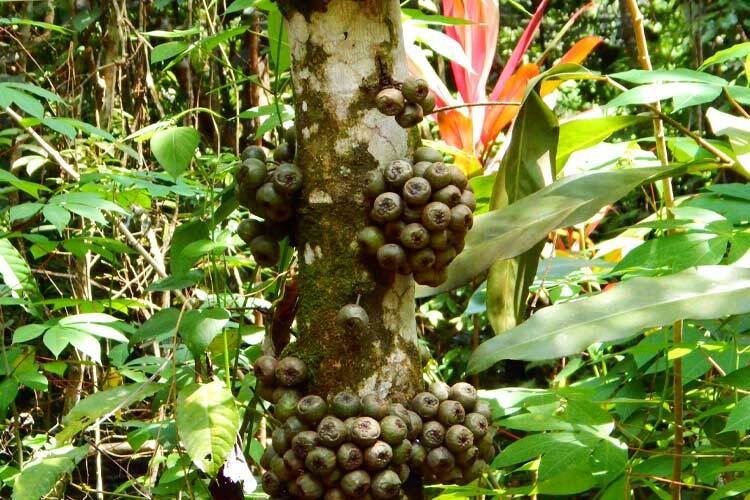 Many times, this encourages the property owners to begin their own rafflesia gardens, which causes more rafflesias to propagate in neighboring properties, and so on. 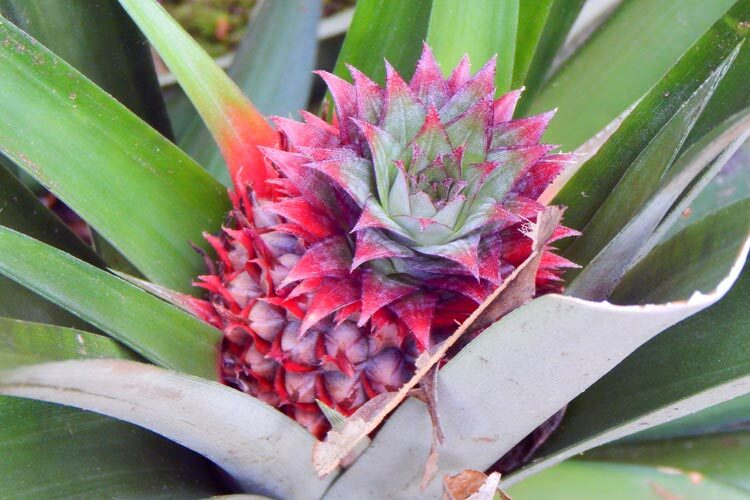 However, because of the extremely short time of the rafflesia bloom, these gardens are only occasionally in direct competition with each other. This is yet another interesting example of people working directly with nature for the betterment of both parties. Travel Packing Tips – You’re nearly there!